Zespri wanted to communicate that kiwifruit can be a healthy alternative to coffee, and other energy drinks. We created a simple and powerful visual to express the health benefits of kiwifruit. 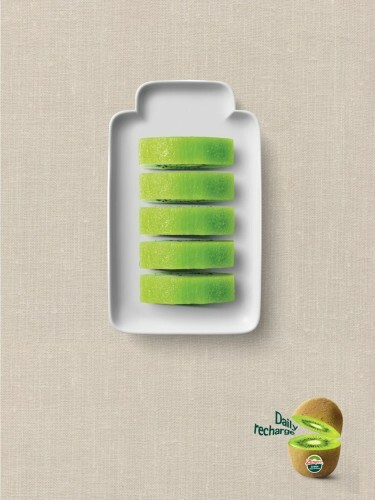 The Print Ad titled Daily Recharge was done by DDB Korea, Seoul advertising agency for product: Zepri (brand: Zepri ) in South Korea. It was released in the Jan 2014.